If your internet is slow or you’re having issues with your router, whether at home or your small business, the router firmware may be the issue. The firmware is simply another name for the software the router uses. Sometimes routers have issues. They reboot on their own or internet and wifi access may be spotty. Those issues may not be a result of hardware problems but could be software in nature. 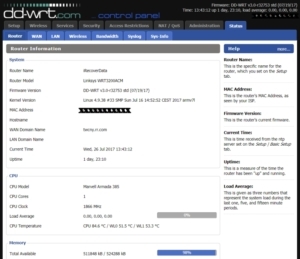 Some routers have the capability to have the firmware rewritten with a 3rd party version. One of the most popular options is called DD-WRT. I’ve been using DD-WRT for years now. This software is by far better than the stock firmware available on even new routers as of this writing. It also allows for additional services to be run on the router itself, without the need for additional software or hardware. This can be a big savings in hardware and resources. Some of the additional options available are VPN, TOR, HOTSPOT capabilities (great for businesses), as well as several LAN rules and fine tuning details to control your network resources. 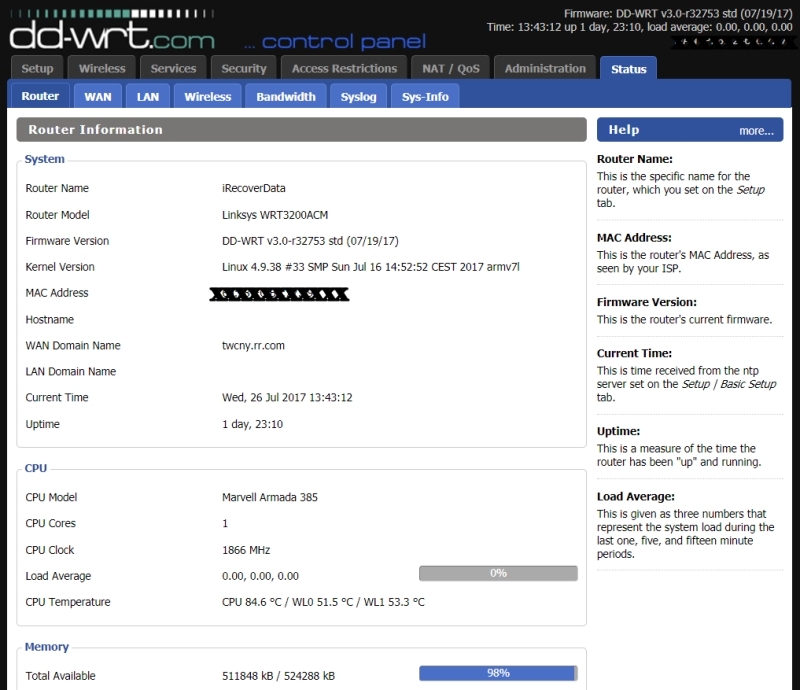 Even if all those additional options available in DD-WRT are of no interest to you what is gained by installing this third party firmware is much better stability. I was having issues with my relatively new Linksys WRT3200ACM router. It would periodically reboot without user intervention and sometimes even lose the settings. I grew tired of dealing with this but did not want to purchase another router. Installing DD-WRT firmware and configuring additional settings provided a very stable internet connection. If your internet service is unstable the problem may be corrected by upgrading your router to DD-WRT. If your current router is not capable of the upgrade, contact me today. I can discern what router would be best for your infrastructure, and if appropriate, install and configure DD-WRT.